Ha Long Bay is considered by UNESCO as the natural wonder of the world, attracting many tourists at home and abroad. 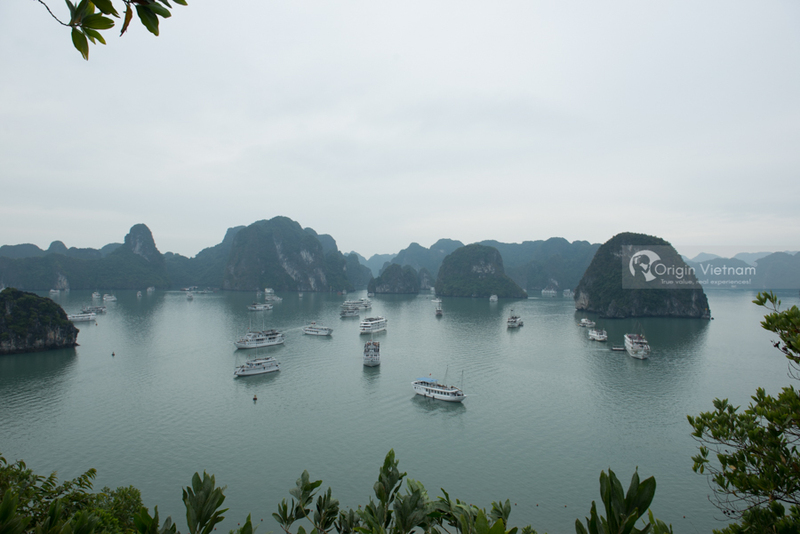 Do you want to go to Ha Long weekend but do not know how to arrange your trip? The secret to traveling Halong on the weekend below will help you. Therefore, with the short time of the weekend, visitors hard to discover all Ha Long. And to have a relaxing holiday and quality weekend, travelers should choose the journey to avoid "hug the scenery", go much without visiting much. Should join the kayak to explore the sea, the cave deep in the rock. 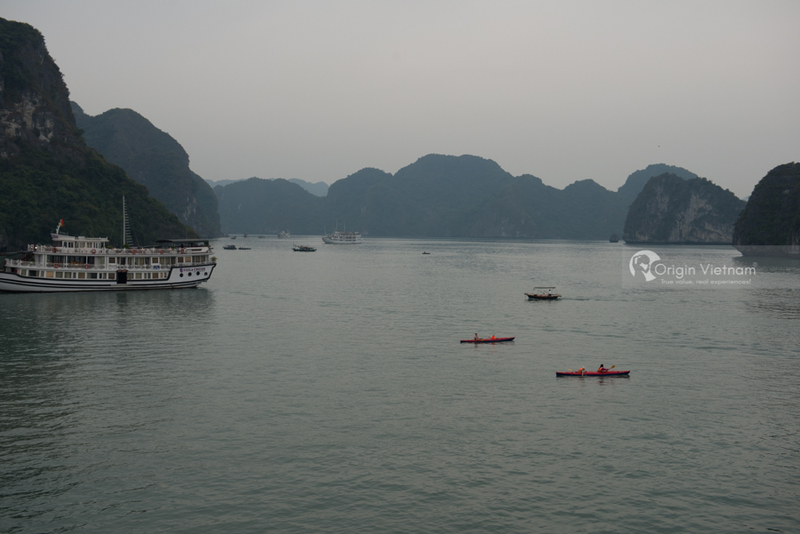 Ha Long Bay was voted by National Geographic Adventures magazine as one of the top 25 kayak tourism destinations in the world. Tourists can also take the night squid tour organized by travel companies or follow the boats and boats of the indigenous people. Adventure games on the sea of ​​Ha Long pretty much like flying, water motor, scuba diving, surfing ... and 30 thrilling games at Dragon Park. These games will give you the comfort and fun of the experience. According to the secret to travel Halong on the weekend. Visitors should take the overnight cruise has been designed destination. These tours are suitable for short trips, visitors just enjoy the Ha Long Bay, enjoy the prepared meals and visit the beautiful scenery of Halong. However, with these tours, visitors need to choose the boat yacht, careful measures. With this type of travel, visitors can not choose the scenery according to their own will follow the schedule of the yacht company. Guests can find out how to go to the famous caves, the beautiful beaches of Ha Long. Ha Long has many ships, boats ... connecting from the city to the islands. You can also go to fishing villages and experience the life of fishermen living there. Some fishing villages in Ha Long, which are highly active in tourism. Such as. Cua Van, Ba Hang and Vung Vieng fishing villages. According to secret when tour Ha Long Bay from Ha Noi at weekend. You should go to the beaches pristine and service charges is much cheaper than Bai Chay, Van Don , Ti Top, Tra ... Travelers should also choose the dining area with more affordable as Hon Gai, the column 5, column 6 Halong ... Tourists should go by train to visit the Gulf transplant , so the price will be cheaper than private charter. The Long Tien pagoda is both dining and room rates are cheaper than other areas. Go to Halong at weekend on tour or self-sufficient? Traveling self has the advantage of comfortable time and freedom to choose their own schedule, not bound and feel suffocated because of traveling with people you do not know. However, the disadvantage is that the team can cost up, not go all the attractions due to timing non-standard. If you still want to go self-sufficient manner. Before travel to Ha Long Bay at weekend. You should learn about the application of experience or know-Halong travel on weekends to be nice trip. Halong Bay tour is bound to time and schedule when to follow this sort of tourism companies. But visitors do not have to worry about stitching travel, organization, eating. This is a cost-effective way to ensure that you are able to visit all of the places you have visited. Therefore, visitors who have experienced travel or have time to thoroughly study about Ha Long should go self-sufficiency. Those who do not have time to learn thoroughly or go to Ha Long in the peak season, rainy season should go on tour. In Ha Long still has the severity of tourists. There are too many companies / individuals providing services so inevitably the rush, bowls. Some tips to travel Ha Long from Ha Noi at weekend is hoping to help visitors make the right decision for their short Halong trip. Guests can also refer to article travel tips Ha Long by month to get more information for the trip.